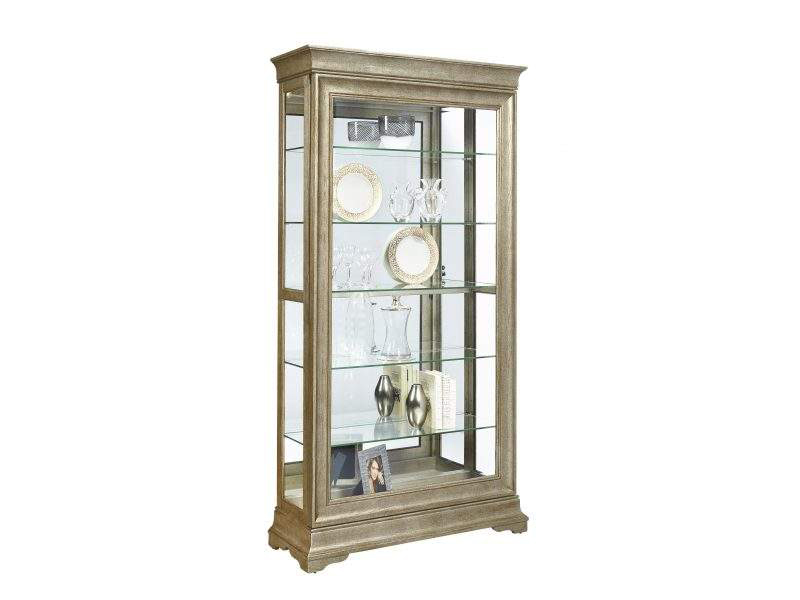 This display cabinet is a show stopper. The aged silver finish on ash veneers is striking and worldly. Louis Philippe style moldings complete this exuberant design. Five adjustable shelves and two 3-way touch LED lights create a beautiful display of your favorite belongings.